Easily readable on a smart phone. Please see attached a brief but strong discussion surrounding the practise that is referred to as the “Eid Milad an-Nabee” that is practised by millions upon millions of Muslims worldwide. They regard this to be an integral of their Islamic faith. So in this book, we ask the very important question: Is there as basis in Islaam for this celebration? Has Allaah, the Most High, legislated this practice? Did the Prophet (salallaahu ‘alaihi wassallam) institute his own birthday celebration? What about the Four Rightly Guided Caliphs after him? And what about the four well-known Imaams? If they did not start this practice, then who did, and is it correct? All of these questions and many more besides are discussed. Please read this book, download it, print it and spread it. There are many strong Islamic principles discussed in this book that a Muslim is obligated to know. May Allaah make this a booklet a source of nearness to Allaah for the author, the reader and the disseminator. 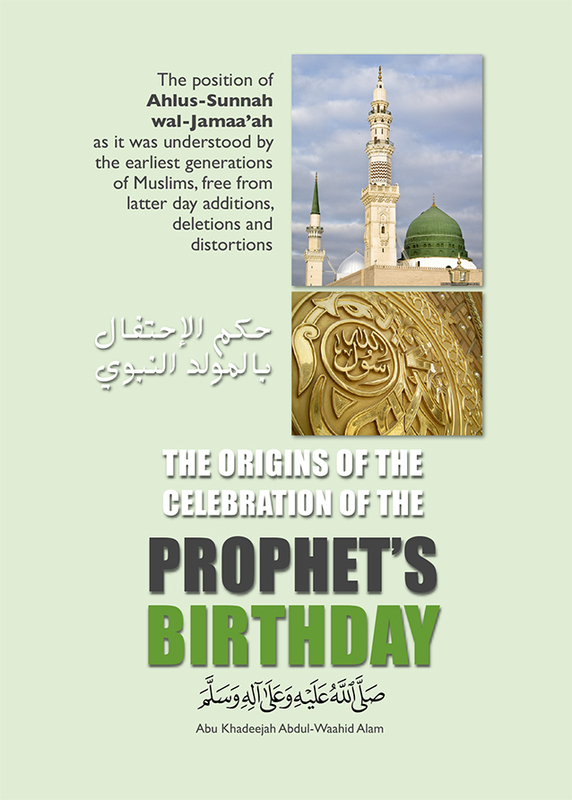 One of the most talked about, hotly-debated and controversial subjects of discussion amongst Muslims for a long time has been whether or not it is permitted to celebrate the birthday of the Prophet (salallaahu ‘alaihi wassallam). In this short booklet, we hope to shed light on this practice that has been celebrated by a body of Muslims for centuries. So when Muslims differ and fall into controversy, they must return to clinging to the Sunnah of the Prophet and the Sunnah of his noble Rightly-Guided Companions. So this brief booklet has been compiled in light of this principle. A Must for Muslims – All Muslim should have a copy and most importantly share the sweetness of truth to other less knowledgeable Muslims. This increases Iman and Knowledge as all Muslim should do rather then follow blindly and disregard the Quran and Sunnah. This book is clear, specific and goes back to Quran and Sunnah as instructed by Allah. May Allah bless and preserves such knowledge for Muslims and humanity. Every muslim should have this. This erases doubts that some muslims have as far as birthdays are concerned. Our beloved Prophet (salallaahu ‘alaihi wassallam) nor any of the Salaf celebrated his (salallaahu ‘alaihi wassallam) birthday, then who are we to do so? The same goes for our own birthdays. And all praise is due to Allaah, the Most High, the Lord of all existence and may the salutations of peace, and blessings be upon the Messenger Muhammad, his family, his Companions and all those who follow till the Day of Resurrection.